National statistics in Singapore indicate that among approximately 3,500 O-level private candidates each year, only 70% are graduating. Students that fail will have to grapple with a system where mainstream schools will no longer accept them. At the same time, there is a trend for private schools that charge high fees to neither actively monitor student attendance, nor track their academic performance. This perpetuates the cycle of academic failure and the erosion of self-worth for school dropouts. Kenny Low’s City College was founded in 2002 to provide an alternative path; its target group is primarily school dropouts from public schools. The strategy is two-fold. City College seeks to ensure that other private schools improve their services by exerting market pressure on them. By delivering a curriculum at affordable prices, City College secured about 8% of the market share in a short span of four years. As a result, competitors started to adopt similar practices, which in turn have seen the performance of private schools in Singapore improve by 10%. Second, City College’s strategy is to accelerate change in traditional practices and policies in public schools. It has managed to attract attention from public school leaders who have visited the college to learn and study its unique student-centered approaches. To finance lower income youth for the program, another enterprise, O School, was set up in 2006. O School is a performing an arts school that offers street dance training to the public. The school also offers employment for young people and generates profits invested into City College’s bursary fund. Hence, a by-youths-for-youths financing model is created. 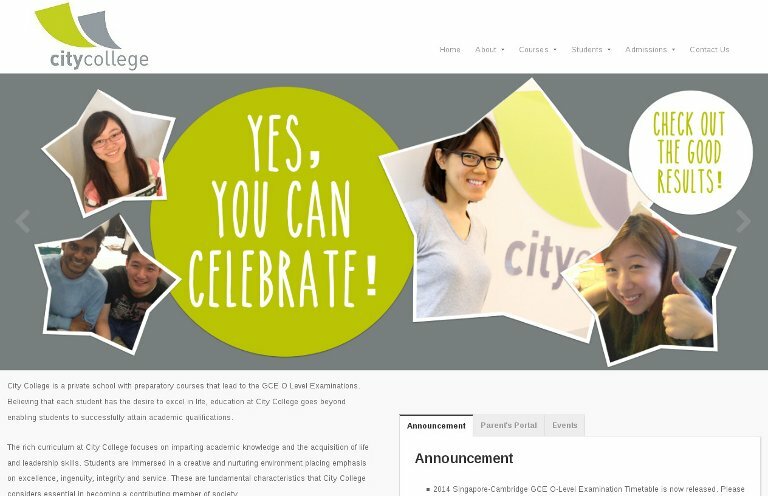 To date, City College had enrolled more than 1,200 students; 60% of these students have moved on to tertiary education, while 95% of them have attained a basic high school education certification; while O School became the leading street dance school in Singapore with a membership base of close to 5,000. It has also created events like The Big Groove, which gained regional recognition as well as choreographed for major events like the inaugural Youth Olympic Games.